Local justices of the peace, bail bondsmen and district court judges were caught by surprise when state Sen. Juan “Chuy” Hinojosa, D-McAllen, filed a bill earlier this month to create a magistrate system for Hidalgo County’s jail. Many questioned why the county needed another judge, especially one not elected by voters but rather appointed by the Hidalgo County Board of Judges. JPs saw the bill as an affront to their abilities, and bondsmen worried a magistrate would issue too many personal recognizance bonds. Hidalgo County Sheriff Eddie Guerra, however, views Senate Bill 1935 as a proactive approach to addressing the potential passage of bail reform this legislative session, which could have a major effect on how bonds are set for defendants in Hidalgo County. Gov. Greg Abbott has pushed for making it harder for dangerous defendants to bail out of jail after state trooper Damon Allen was fatally shot in 2017 while conducting a traffic stop near Fairfield. The man suspected of killing him was out on bond despite previously being convicted of assaulting a sheriff’s deputy because the JP who set his bond was unaware of the charge. Guerra was concerned when the governor announced last August he wanted to pass legislation that would only allow district judges, not lower-level magistrates like justices of the peace or municipal judges, to set bail for all felony and violent misdemeanor crimes. “When you’re telling me that I’m not going to be able to have JPs arraign at my jail, that is going to disturb my business practices here,” he said, which is why he and District Attorney Ricardo Rodriguez went to Hinojosa to file a bill to prepare for this possibility. In addition to arraigning every person the sheriff’s office arrests, the Hidalgo County’s nine justices of the peace arraign those arrested by the five constables’ offices, the Texas Department of Public Safety, the Texas Alcoholic Beverage Commission and Texas Game Wardens. But he still wants what he calls an “insurance policy” if any of the bail reform bills filed by lawmakers would restrict who could arraign individuals become law. One of those bills is House Bill 2020, better known as the “Damon Allen Act,” filed by Rep. Kyle Kacal, R-College Station. In line with the governor’s desire, it only allows district court judges, or associate judges appointed by a district court judge, to determine bail for felony cases and class B and A misdemeanors. Attorneys licensed to practice in Texas for a minimum of four years would be eligible to be associate judges. 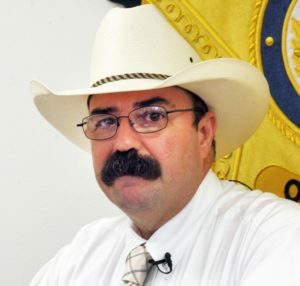 Such a bill would be problematic for Hidalgo County, the sheriff said, as only one of the nine JPs is a licensed attorney. Hinojosa defended SB 1935 in an interview last week, emphasizing it is a “dummy bill” filed to meet the filing deadline, and that the text can and will be tweaked as the legislative session progresses. “Somebody is putting out misleading and false information because we don’t have a bill yet that outlines the duties of a magistrate,” Hinojosa said. “Any time you have change in the system there will be people who are involved in the system that don’t like change and are used to doing things a certain way,” he added. But the board of judges, comprised of the county’s district and county court-at-law judges, expressed dissatisfaction over Hinojosa’s bill at a meeting last week and unanimously voted on a motion recognizing that they did not approve of SB 1935 in its present state. The creation of a magistrate position would be costly to the county, and also unnecessary, state District Judge Noe Gonzalez told his colleagues. Were a Damon Allen-type bill to pass, an alternative for the county could be having district court judges perform jailhouse magistrations via videoconference, he suggested. Another idea would be for the district court judges to designate all municipal judges and JPs that are lawyers, in addition to county court-at-law and auxiliary judges, as associate judges, which would come at no additional cost to the county. Additional criticism from the board of judges was that neither the senator, sheriff, district attorney or County Judge Richard Cortez had notified them, or anyone else, about SB 1935 prior to its filing. Gonzalez said he only found out about it through a bondsman. Precinct 2, Place 1 Justice of the Peace Roberto “Bobby” Contreras told The Monitor he heard about the bill after Cortez tried to add a resolution supporting the bill to the commissioners court agenda. The sheriff, district attorney and county judge dropped the ball, he said, adding, “at least, god dang, keep us posted,” in regards to any legislation that involves JPs and local elected officials, noting this had been the practice of the previous county judge. Creating a magistrate is also an inefficient, costly solution, he said, noting that Cameron County, which has three magistrates, struggles to find someone to perform weekend arraignments. Cortez, who took office in January, told The Monitor he was as surprised as everyone else about SB 1935. 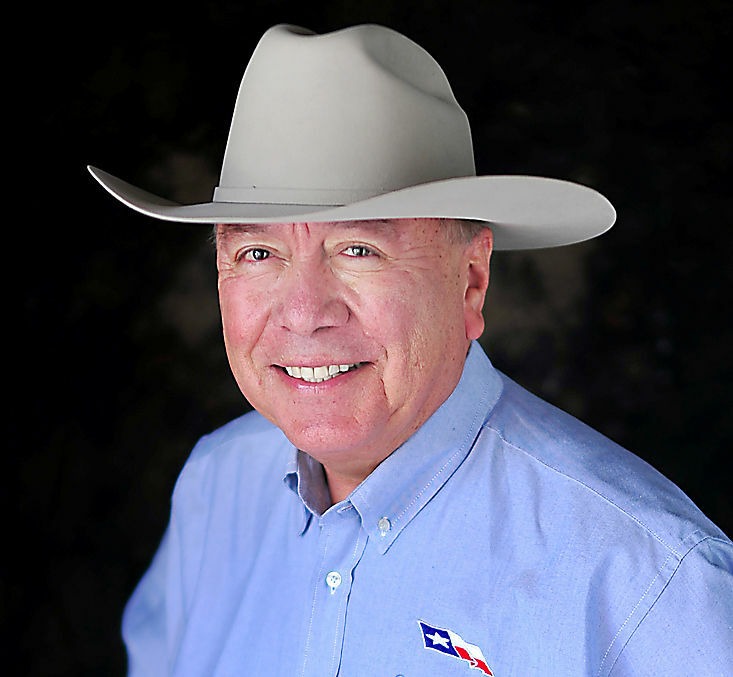 Hinojosa called him with little advance notice prior to filing the bill asking for him to place a county resolution on the commissioner court agenda to show fellow lawmakers in Austin there was local support from the bill. It turned out no resolution was needed, and as such, nothing was placed on the commissioners’ court agenda. That said, Cortez emphasized he wants to have good communication with everyone and said the question now is how to move forward toward crafting a bill that meets the county’s need. Who will be tasked with calling a meeting between all of the relevant stakeholders, including the JPs and Board of Judges, remains to be seen, he said. Hinojosa told The Monitor he was open to suggestions as to how to revise the piece of legislation, but Contreras said he gave up trying to contact the senator after not getting a response to two calls he left for him, something Hinojosa disputed, noting he hadn’t heard from the JP.